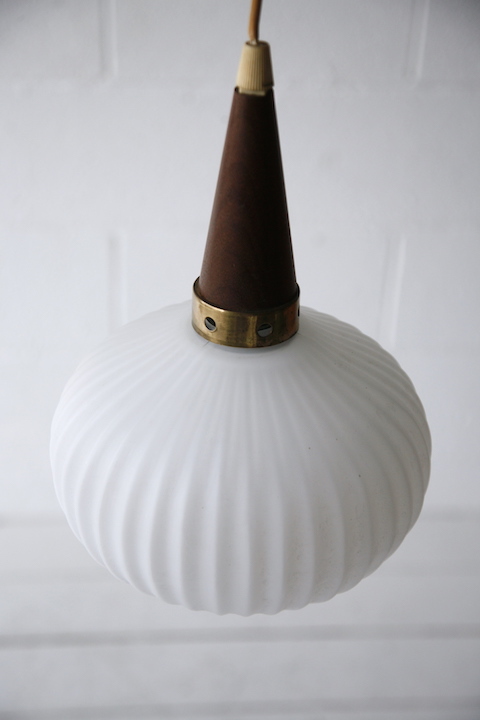 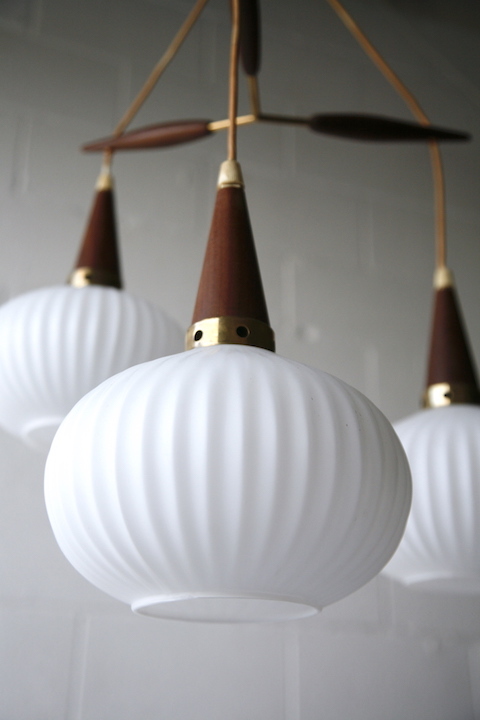 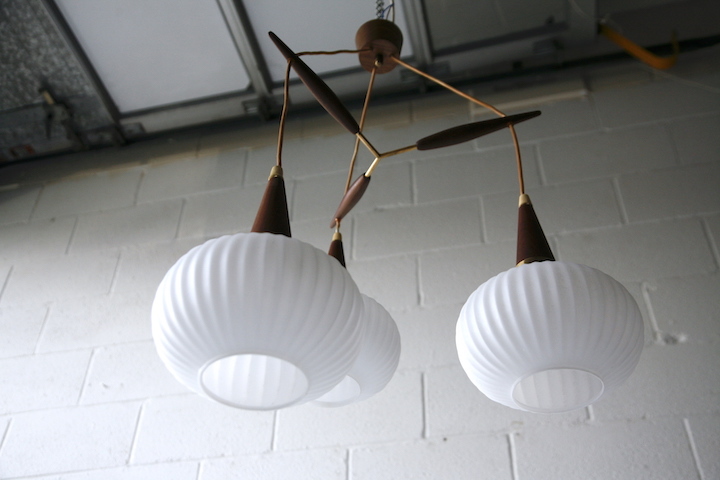 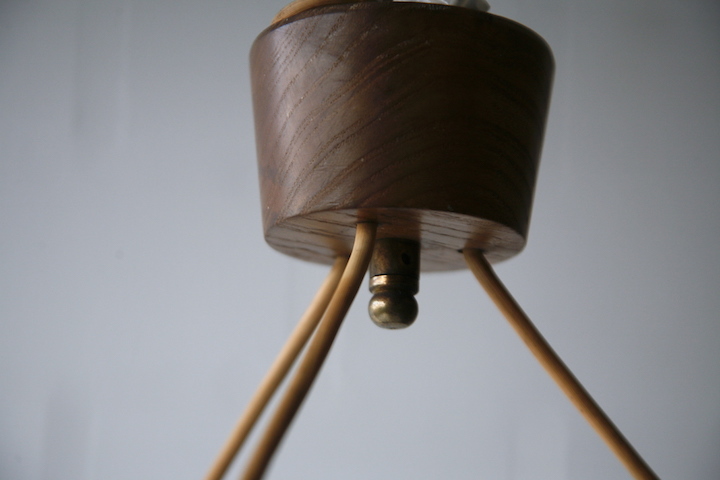 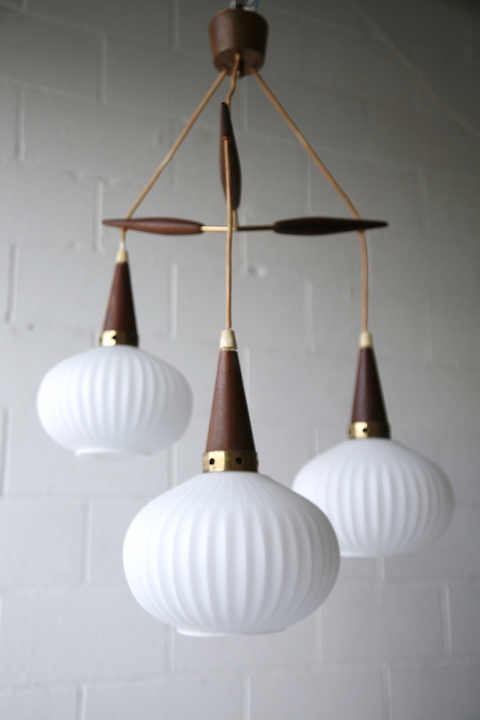 A beautiful 1960s teak and glass pendant light. 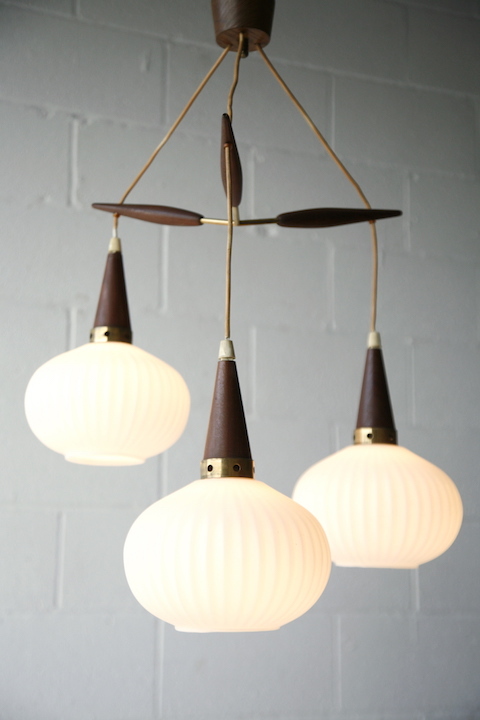 With 3 white glass pendants and teak and brass fittings. 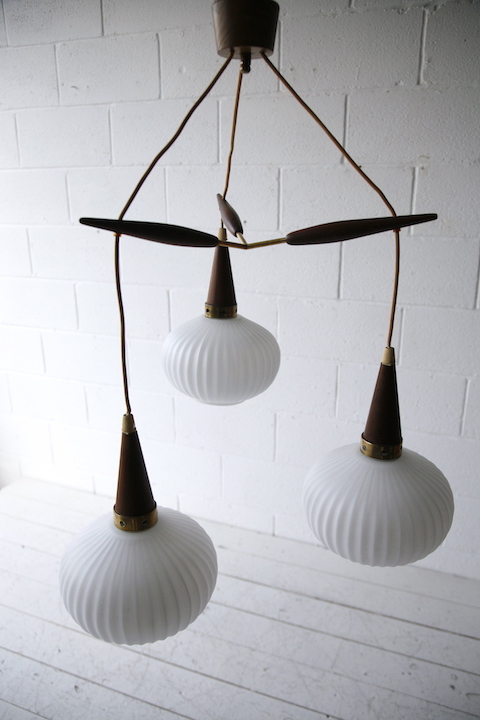 In very good vintage condition and fully working.